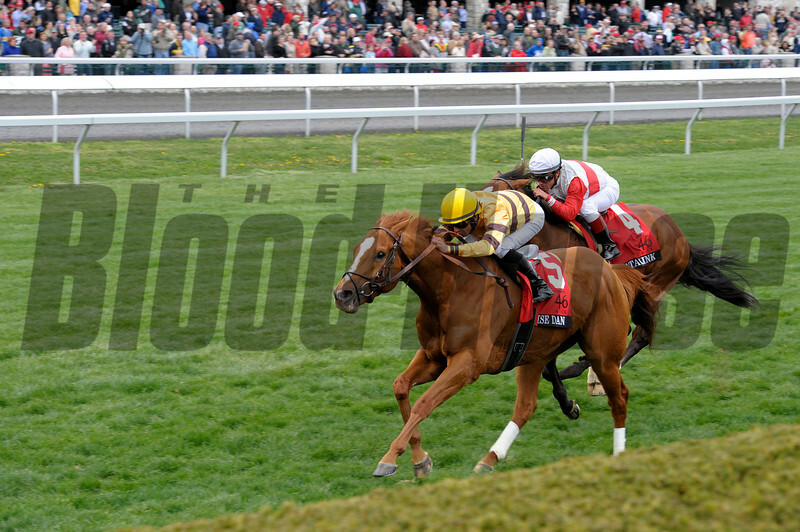 Caption: Horse of the Year Wise Dan with Jose Lezcano wins the Maker's 46 Mile (gr. I). Data Link with Javier Castellano in second. Keeneland racing scenes during April 12, 2013, at Keeneland in Lexington, Ky.